Jim Cheung is a comic book artist hailing from Britain, he is most well known for his work on the Young Avengers while Jim’s more recent work includes the New Avengers: Illuminati and AXIS. In August of 2005, he was named one of Marvel’s “Young Guns” which is a group of artist selected by Marvel for their exceptional talent and potential, other “Young Guns ” include Olivier Coipel, David Finch, Trevor Hairsine, Adi Granov and Steve McNiven all of whom went on to create some of modern comics brilliant imagery. 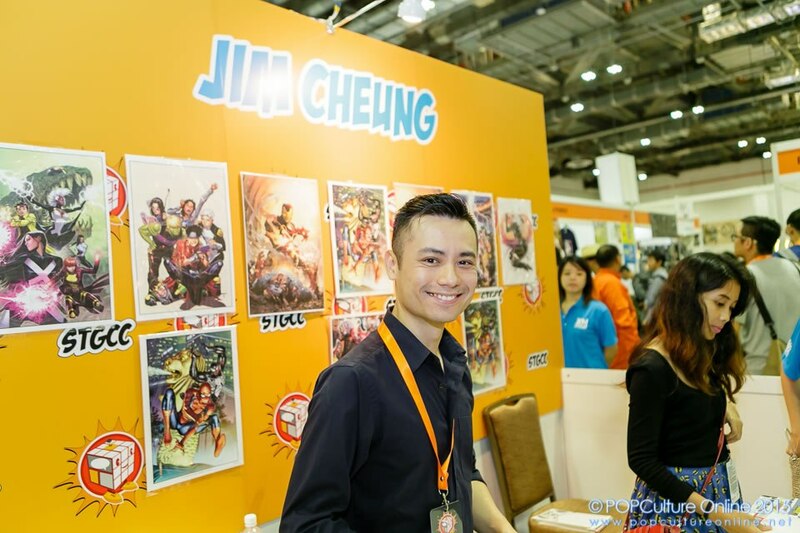 Down for STGCC 2015 as one of the invited guest, Chen KangYi sits down with this prolific artist to ask him about everything Geekdom related. It has been 10 years since you’ve been named one of Marvel’s Young Guns; looking back, how has the journey been? Oh stop reminding me *chuckles*. It has definitely a hell of a journey I would say. It was definitely a surprise to be named one of the Young Guns in 2015 because I’ve already been in the business for around 10 years so to be named one of the young guns is a little unusual. But it was definitely an honor that Marvel singled me out amongst so many artists and I was able to be grouped with phenomenal talent. I guess it really did help promote my career a lot and being placed on Young Avengers, it was also my big return to Marvel at that time because I was previously working at CrossGen Comics. It was an unusual project for sure, it didn’t know what to expect of it and the fact that it became a hit was definitely a big bonus. Who or what was your inspirations for your current art style? It’s really a bastardized style by all my favorite artist so I kinda look at the artist that I like, I’ll critically break it down, take different elements of what I like and try incorporating them into my work and it really just becomes natural. That’s just the way it has always been with me because I am more of a simulator in a way because if you look at some of my early work, you can see that it’s very crude but then it gets more and more refined because I was kinda looking at other people’s work and getting influenced by it. When I went to CrossGen, I was actually able to be in a studio with a whole bunch of other artist for the very first time and I was able to “steal” from them quite comprehensively in those 3 years to reach the point that I am today. If you can assemble a Dream Team of Writers and Artists, who would they be and why? Wow! Hmm lemme think…. Well, my personal favorite writer that I’ve worked with is probably Allan Heinberg because we just work so well together and one of my favorite artists at the moment is Olivier Coipel who just does amazing work all the time. My favorite colorist is Justin Ponsor who I work with as much as I can and I think that’s as deep as I’ll go because when you pick up a comic, that’s mostly what you see. How do you personally overcome artist Block? I get artist block all the time and that’s partly why I’m so slow, I’m constantly struggling to get things right. That’s why when people ask me if I’m willing to video myself and post it up on Youtube on my artistic process and how I draw; 70% percent of the time would be me erasing what I’ve just drawn so it’ll be a very very boring video. So when I hit artist block, unfortunately I’m too stupid to walk away and I’ll just keep hammering at it but sometimes I’ll switch to another page and it’ll come easier so I try and do it that way. So what’s the struggle (artist block) with? Is it with the composition or something else? Would you be willing to work on the Marvel Cinematic Universe and which series would you be interested in? SURE! But I don’t think I’m really suited for it but I’d certainly be interested because it’s a whole different field out there. With that said I’d love to work on the Young Avengers in the MCU. 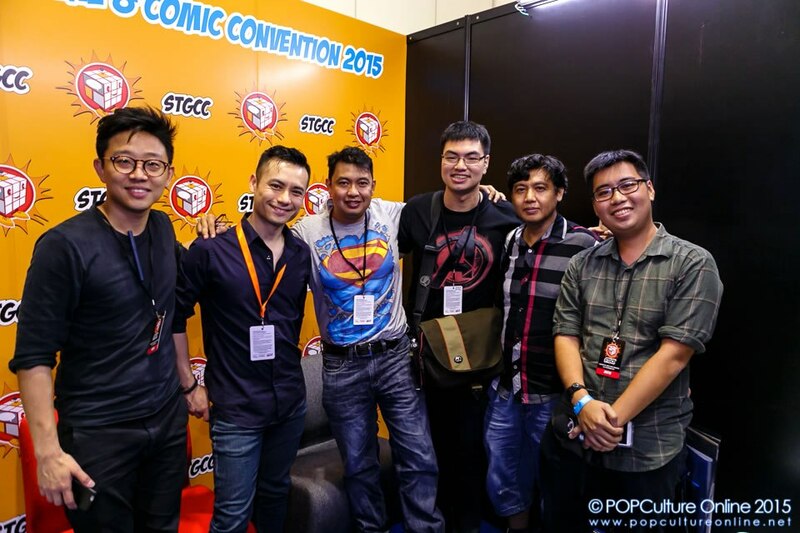 What’s the hardest part about being in the comic book industry? The hardest part is actually keeping your game up because the quality of the artwork out there is amazing, there are kids coming out of high school with better photoshop skills than I could achieve right now. The level of technology that I’ve never had, they are also so comfortable with those programs that for me it’s just a challenge because I’m just used to using a pencil and paper and their using Photoshop and all these amazing programs. It’s a challenge just to keep relevant. If you’re tasked with a rework/reimagining of the current Young Avengers, what changes would you make? Then what about the Young Avengers that you’ve work on, would you change anything to fit the current trends? E.g. more gritty and cinematic character design. I think they’ll fit in just fine, some of them just fits in quite well like the Hulkling and Wiccan in the Avengers I think and Kate Bishop is in the Hawkeye works unfortunately the other characters are either dead or MIA. If I could I’d bring them back. Is there anything in Geek culture you’re looking forward to? The thing I’m really trying to stay away from is the Star Wars stuff, you can’t escape it unfortunately *Chuckles* I’m really looking forward to see how the movie turns out and I’m also really curious to see how the Marvel progress to show the Infinity Gauntlet and how that progresses as well. Even though we all have a rough idea on how the story is gonna be like because we’ve read the comics itself already but it’s always cool to see it on the big screen. Thank you Jim for your time!